Globalization and Population- Good, Bad, Ugly? Today, in Social Studies we will be talking about GLOBALIZATION and POPULATION GROWTH. What is globalization? What is population? What is over population? You will be able to define each of these words and list the positive and negative effects and influences of each. Your assignment will be to listen to the in class discussion, lecture and watch the video clips that have been selected to highlight the questions mentioned above. After, you will be responsible to comment directly on this post about how 1 or both of the comics makes you feel and what you believe the implications are for the world. You will not be marked on whether you come up with the ‘right’ answer. You will be marked on how well you argue your response. State which comic you will be commenting on. This is your first major assignment in Social Studies- be sure to put up a good fight to prove your message/opinion/thesis. Chose a comic from this page. Think about it: How do you feel about it? What do you know about it? What do you need to know about it? Formulate a THESIS: Direct statement you wish to prove. Argue for that thesis in a well thought out response. This should be 2-4 paragraphs and must have a strong introduction and conclusion. Comment on this post directly. This is how you will be handing in your response. This one will make you think!-? To me this is saying that he is throwing away all of his pride and what he loves and he is going to live in the ocean where globalization is taking over. He does not look to happy about diving into a world where he has no power. He is letting go of Sovereignty and taking in Globalization. He now knows there is no specific place for him on earth because everyone is equally needed. “Oh Canada Our Home on Native Land,” when I hear this the first thing that comes to my mind is, history, when John Cabot came to Canada and claimed it, European land. This Quote make sense because we came to their country and made it our home. Even though this land is not originally our land, but with all the treaties that were signed and all the agreements that were made, it can now be said that it is our land. However, we have to think about the past and what our ancestors have done to the first nations. We took their land because they did not know any better. We come to realize that our home, which we have grown up on all our life was originally First Nation property. People also need to understand that people are racist towards and stereotype First Nations all the time. People need to overcome that attitude and focus on what really matters, our heritage and how the First Nations played a key role in getting us to were we are today. The world needs to overcome racism. There is articles all over the world that deal with racism against First Nations. This web site has signs that were made about children in residential schools, and how indigenous peoples rights should not be taken away. To me this is saying that he is throwing away all of his pride and what he loves and he is going to live in the ocean where globalization is taking over. He does not look to happy about diving into a world where he has no power. He is letting go of Sovereignty and taking in Globalization. Feels he is letting down his government and his country. He now knows there is no specific place for him on earth because everyone is equally needed. He looks and feels very unhappy with what the world has come to. Maybe feeling down because is power and his ability is not being used to its highest. Feeling worthless to his country and to his government. 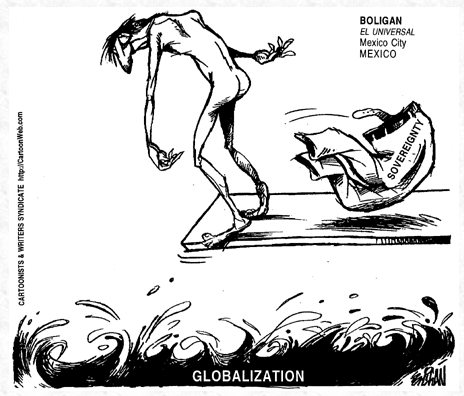 When in reality we need globalization because without it a lot of places would have no clothes or shoes. There would be less money in our industry, if were not importing we are exporting. There is nothing better than globalization to me in this world. America has one of the worst un employment rate in the world. The country of the USA has a very strict policy on people immigrating into their country. Unlike like certain countries, like canada, the USA is not so nice about letting people from all around the world live or in some cases even enter their country. America government needs to adjust this citizen policy, and must let citizens from different countries live and work in their country. Many people from Mexico would love to work in the USA. The two countries have always had conflict and always will. There have been wars between the countries and illegal immigration of mexicans to America is not a new conflict, and it is not going any where anytime soon. The personal hate between the two countries citizens stands in the way of a peaceful environment. The help wanted sign cartoon above shows that The United States is literally confused on what they want to do! By having the ‘Help wanted’ sign they are showing that the employment rate is going up, and they need more workers to help satisfy the demand in the United States. Many of the ‘dirty jobs’ which include the food industry, cleaning, and factory work in The United States are worked by immigrates millions of Immigrates come in each year to go work for less than the minimum wage, but then the government sends them back. The country should really make immigration easier to apply for, because they need help, business have to close, because they have no workers, Everything is a cycle, by having illegal immigration and sending people back to mexico they close thousands of businesses because of no workers and they wonder why The United States is bankrupt. Diversity? Culture? Not anymore! We are the first generation that is exactly like the countries over seas. How does this make sense you ask yourself? Globalization is causing every country to loose their originality, diversity and culture. Have you ever wondered exactly how big Mcdonalds Resturant is? There are over 31 000 Mcdonalds in the world operating in over 100 countries world wide. If these monopoly empires are popping up all over the world then what is keeping our country different? No matter how hard we try, we are slowly loosing our culture and originality to globalization and the peoples ever lasting needs to have the latest and greatest. Some people think this aspect of globalization is good and that we need to change to be on top of media, manufactured goods and have the latest. People have to realize that it is not bad to have these things but too much can corrupt our society and make us just like everyone else. Who is better than yourself, why would you want to be anything that you are not? Be original, be yourself because in the end that is all we really have. I don’t agree with this Political Cartoon because overpopulation is not the problem. The problem is how we are dealing with population growth. Many people believe that space is the issue and that soon we won’t have space to support all these people. The truth is, the whole worlds population can fit, shoulder to shoulder, in the city of L.A.. If the whole population can fit in one city, then what is the real problem? The problem is that we are running out of the resources we need for future generations. The world has to try to come up with a method to save enough resources so that our generation, and our kids can continue to use them for hundreds of more years. I believe it is time to go green. I’m not saying that population will never be a problem with 7 billion people living on Earth. The population will only continue to get bigger. 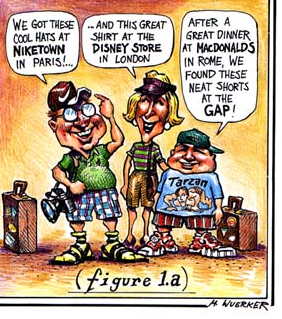 Seriously you went to Paris, London, and Rome and you rather spend it in stores that you have in your own country. Paris, France is known as the city of love, it is the most romantic city you would ever see because of the attractions like the Eiffel Tower, the Versailles Palace, the Louvre Museum, and many more. London, France is an amazing city to see and you could of seen the London Eye, Buckingham Palace, Westminster Abby, and the Tower Bridge. Rome, Italy Is the capital city and it is the largest and most populated city. Some of the best places to see when you are in Rome are the Colosseum, the Pantheon, Trevi Fountain,and the Museum of Roman Civilization. Instead of wasting your time in the shops you can always go in spend it learning the language or visit the monuments that are in that city. Learn something new and never forget it, take pictures so you can look back on this moment and say ” I learned the year that they built the Eiffel Tower.” Learn something, educate someone and just have fun were you are in the world. 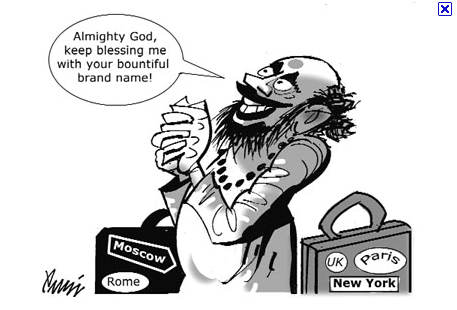 In the following picture, it depicts a man basically praying to God for more goods that he has gotten from Globalization. This is showing how corrupt that Globalization has made people by practically taking a cloak over our faces and blinding us from the real world and how our greed is affecting these people. The fact that our greed has taken over so much of our judgement that all we seem to care about is money, people are protesting at Wall Street because they find that the markets are blinded by corporate greed. Now it is not just Wall Street that has been blinded, it is also many banks that feel the effects of a blinded and flailing Wall Street. The outrage by a few protesters has given people the feeling of wanting to increase protests. The “New York Times” gives a detailed article on the protesting in this following article. In many pictures shown in the article, there are slogans such as, “Put the people before profits” and, “Who has a red nose, big floppy shoes, oversized pants, a tiny bicycle and gives bail outs?”. In that last quote the person holding the sign is referring to the accounts managing their money and the crappy job they are doing with it. The “bail out” part refers to company’s whose stocks drop so low that they are in danger of going bankrupt, and that they use so much money to save these companies that they do not have enough money to help the people out of tough breaks, which shows why the economy in America is doing so poorly. The comic titled “Diversity? Culture?” is a great representation of how even though you may be someplace with a different culture, everything is the same. You could be in China, and experience their industrialization, but you will always be able to find the same things because of globalization. McDonalds is an American business, yet there are “875 retail outlets across China” according to Forbes. You could go anywhere in the world, and be able to have a McDouble. Clothing brands such as Nike are the same. They used to be based in one place, but because of globalization they spread to the rest of the world. Since you can now get everything you want, anywhere in the world, it isn’t crazy to say that globalization is assimilating the world. The problems we need to worry about today are not environmental, but they are social problems. 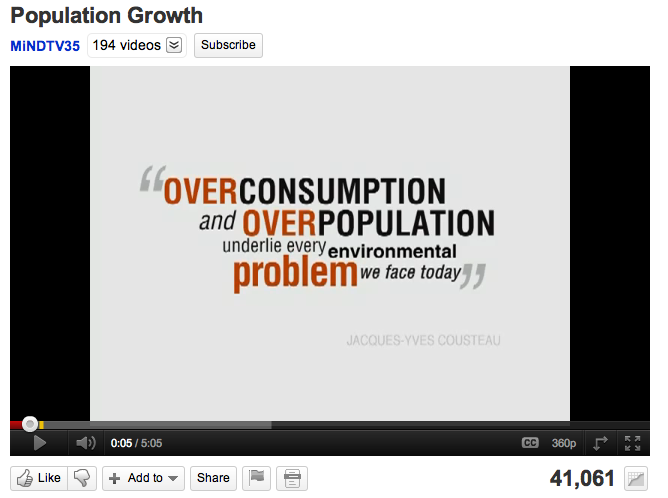 In the video shot of the picture, “The Cause”, the main problem in this world is overconsumption and overpopulation. They are the basis on which every other problem occurs. With the amount of transportation of goods, people, and info around the world, it’s no wonder there are problems such as oil spills, pollution, and contamination. The world has become so connected that if any one part of the world crumbles, it spells catastrophe for everyone else. Although globalization is good in lots of ways, it is not worth the imminent destruction of all our nations. Illegal immigration? Excuse me ? Can anyone explain to me what illegal immigration is? Some people are upset because for example Canada is bringing immigrants over to work, and people think that these immigrants are taking their jobs. That isn’t true. They are not taking our jobs. We as a society are looked upon as lazy. Immigrants are thankful to be here, and they are thankful that we gave them a job. They are willing to work, whether it’s scrubbing toilets or managing Olive Garden. We complain about the smallest things though. If we had to scrub toilets, we would quit on the spot. Who dare make us scrub toilets? We complain and call the labour board if we don’t get a break. Who dare not give us a break when we spent most of our day sitting around and complaining? We are asking for more always, if we aren’t getting paid top dollar, we are mad. All the immigrants ask is for us to give them a job. They don’t care if they are getting paid five dollars an hour or fifty dollars an hour. To call immigration illegal is shallow and self centred. Take a step back and look at the big picture. We should be thankful these immigrants are coming over. Without them our fast food restaurants would be run by teenagers and people who don’t care. How many people love Mc Donald’s? MILLIONS ! How many people want to work there? NONE ! So think about it, we don’t want to have to work hard, we want everything to come easily to us. Without immigrants coming over into our countries, we would have a really hard time keeping certain places running. Personally I feel like we should be thankful for the immigrants. They have done so much for us. They do the jobs we don’t want to do. Some places I bet wouldn’t be running without them. So next time you want to say “Stop illegal immigration” take a step back and look at the big picture. Have you ever wondered about how much higher some prices would be if they weren’t working? Don’t you like lower prices? I know I do. Think about what you like and want in life. These things are being given to you by immigrants and you don’t even see it.They may not be aloud to be here, but really when they are working hard, are they doing anything wrong? You cannot have cheap products and fair labour. Whenever you make a purchase, you are signing the pay check of the people who made the product. The comic “Help Wanted?” illustrates this example in a very good way. Many American citizens hate illegal immigration and think more should be done to stop it. As a result of this, the United States Government is very strict when it comes to illegal immigration, especially along the U.S./Mexico border. However, what these people do not realize is that without these immigrants, their country would not function the way it does. Sure they do lose some money by accommodating them. Undocumented workers do not pay taxes yet many still take advantage of public services. In this case though, the advantages outweigh the consequences. Who else is willing to work minimum wage with no benefits doing jobs that no one else wants to do? Americans have no problem with outsourcing their labour to places like China in order to keep prices of products cheaper. The only difference between having Chinese workers and Latin American workers is that the Latin American workers work on American soil. These beliefs are very hypocritical. Xenophobic attitudes like this occur not only in the United States, but also in other places throughout the world. The American people need to realize that illegal immigration is something they must deal with if they wish to continue living the way they do. In the statement “Over consumption and over population underline every enviromental problem we face today” is not all true, only part of it is true. Most of the worlds problems are only described in half of this statement. In the world today most of the problems are coming from the over use of goods in some parts of the world while other more populated areas are not using as much resources. According to http://www.newint.org/features/2006 /11/01/facts/ North America makes up for 5% of the worlds population. In that 5% we are using 30% of the worlds resources. That is a big difference between population and consumption. Since they vary so much problems will arise. Also according to http://www.newint.org/features/2006 /11/01/facts/ South Asia accounts for 22% of the worlds population and they are using only 2% of the worlds resources. That is a major difference that shows the unequal distribution of goods around the world. In my opinion that is the major problem in the world today. The other half of the statement says population growth is also part of the problem. In my opinion that is not true. According to htekidsnews.com/world-population/ the entire worlds population could fit into the size of a large city if everyone stood shoulder to shoulder. That fact proves my point. There is plenty space for every person of 7 billion to live a thrive. The world is plenty big enough to support a growing population. The power, and emotion that lies within this simple piece of art is phenomenal. There is no trick or hidden message, the point is plainly stated. Canada has been constructed on the Aboriginal’s land. Native citizen after native citizen from other countries have dealt with the same problem, but they did not receive the same outcomes and benefits. Many Canadian individuals today argue that promises made with the Indian tribes long ago should be abolished, the treaties have been in place for too long, and it is time to let them go. Yet, half of these people will also say they are opposed to globalization. This is hypocritical, and even ironic. Look ten years into the future-with no treaties. The Aboriginal culture will be lost, because the treaties assisted in preserving it. The act of assimilation will once again be placed upon the tribes of our country. Canada will no longer have the privilege of saying they hold a strong sense of Indian tradition. We are known as the “peacekeeping country”, and the treaties made with the natives really prove that point. When we lose the treaties, we lose the status of a harmonized nation. We will go against what we have always been about. When we lose the history we ultimately conform with globalization by integrating with other countries, with no sense of a background whatsoever. Are you willing to conform? The help wanted comic on the US border is funny because it shows that US does not no what they want. It says that they need help with jobs probably fast food jobs, factory jobs, and cleaning jobs. The US civilization who have lost there jobs do not want to take these jobs because they do not want to down grade there job from what they used to have. The immigrants are willing to take these jobs to live free in US but the government does not want them to come to the US and take job opportunities for the US citizens. The Help Wanted Comic’s title is the start of the controversy. It states the US wants to fill jobs as soon as possible. It also shows that the US is strong and passionate at the same time with their choices. 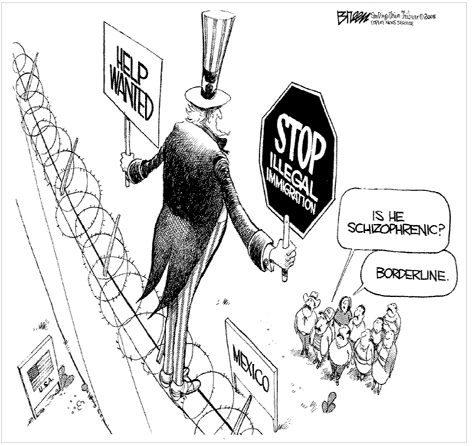 The comic says otherwise, with “Uncle Sam” holding two signs on the border of the US and Mexico. One sign states that the US has jobs available, while the other shows that the US wants to protect against illegal immigrants. As a double meaning, US is “on the fence” about their choices, hoping to make the best one: fill jobs for starving immigrants, regardless of them being legal, or ignoring jobs for legal rights in the US. 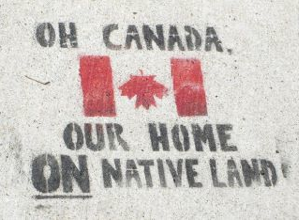 ‘Oh Canada our Home and Native Land’ this is a statement that can be argued both ways. I am not the person to say what is right or not but we just need to be aware of both sides and respect them. John Cabot came to Canada and claimed it even though there was others on the land before. People can say it was fair or not but as far as the treaties go the Native signed them and the government processed it. We can’t go back and change the past and back then that is what happened we cant regret or dwell on it. I think since we are all Canadians the same laws should apply to us all. It seems to me that it is condescending to the natives that less responsibilies are expected of them then other Canadians. It is like people look down on them cause the treaties laws gave them special privileges. I believe that could have harmed them in certain ways. We are all humans and all deserve the best. The past will always be in history and there will always be different opinions. I am not stating that Aboriginals and Canadians or better then each other, I am just looking at it from another point of view. Some places you can find these ideas are.